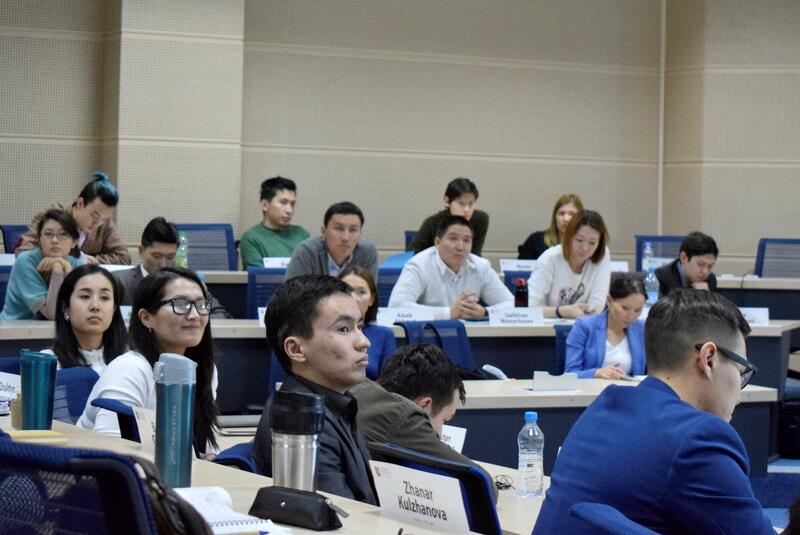 We hire professors at NU Business School on the international market, most of them have to prove their superiority at international scale before they are admitted to us – Patrick Duparcq. A good teaching staff is the key to a quality education. A university professor should not only be demanding and able to explain his subject, but also have relevant information. Publications in well-known scientific journals are considered to be the main indicator of this relevance in the scientific community. 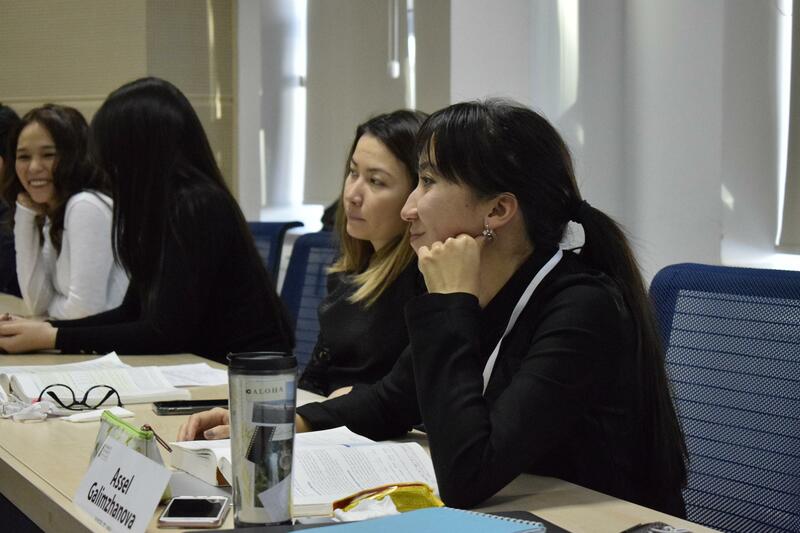 Nazarbayev University is one of the few Universities of Kazakhstan, whose calling card is high qualification and international recognition of teaching staff. “We hire professors at Nazarbayev University Business School on the international market, most of them have to prove their superiority at international scale before they are admitted to us. Among the expectations from the future professor are publications in leading international journals, such as the Journal of Business & Economic Statistics, journal of Small Business Strategy, Organizational Research Methods, Journal of Marketing, Production and Operations Management, Review of Economics and Statistics, Journal of Econometrics, experience in leading universities of the world and participation in global conferences,” commented Dean of Business School Patrick Duparcq. 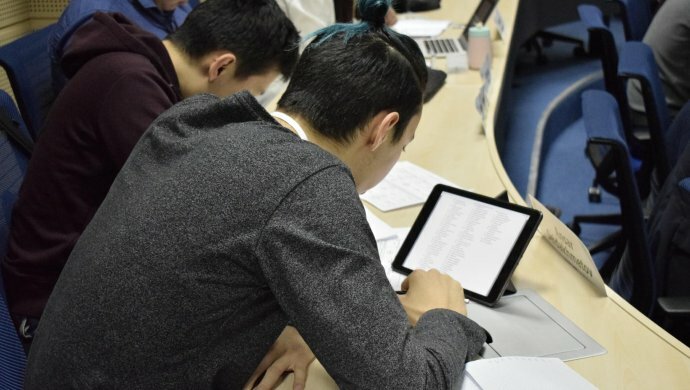 According to him, over the past few years, NU Business School has become one of the best business schools in the CIS and Central Asia due to research published in leading journals. Some of the professors of the School work with the Nobel Prize winners. “It may seem like a purely academic achievement, unrelated to companies and businesses, but it is not. In a world where the principles that determine business success are changing rapidly, research universities and business schools are formulating the foundations and theories that will determine the best companies of tomorrow. Our professors don’t just teach theory, they create new rules. They do not follow the future, but define and invent it,” he added. One of them, a professor of finance at the Graduate School of Business at Nazarbayev University, has written over 50 articles in international journals, including the American Economic Review and the Journal of Finance and Management Science, Gerrit Thierry Post. His interests include asset management, portfolio theory, asset pricing, behavioral funding, and financial econometrics. Thierry Post, leading co-author of one of the publications of Professor Richard Thaler of the University of Chicago, who was awarded the Nobel prize in Economics in October last year for describing a more realistic model of economic behaviour of people. “I was the author of one of the studies by a professor that was published by the American Economic Review a decade ago. The study was successful for several reasons – it was quoted many times in academic works, and it attracted fairly wide media attention. We have made several innovations in our research: experiments with students in the behavioral laboratory and experiments in medical school related to brain scanning, which was necessary for understanding the neurological processes in human behavior. We also conducted some natural experiments during the analysis of the game television show. We had access to a unique set of data from a television producer named Endemol. They concerned behavior of contestants in TV games with million prize funds. By combining these results with research, we presented interesting empirical data on prejudices in behavior and mistakes in decision making,” said the professor in one of his interviews. This year, Tieri Post, published a new article in The Journal of Business and Economic Statistics (JBES) – “Somewhere Between Utopia and Dystopia: Choosing From Multiple Incomparable Prospects”. The publication publishes articles of applied statistical analyses on micro and macroeconomics, forecasting, business and finance. The articles published in JBES contain outstanding achievements and high-quality methodological content. By the way, it is not for the first time that professors at GBS NU take part in collaborative work, in which they later award the Nobel Prize. Back in 2013, while awarding the Nobel Prize in Economics, Robert Schiller, in his speech, summarizing several decades of research in behavioral finance, mentioned the scientific work of GBS NU Professor Marek Yokhets (“Patriotic Name Bias and Stock Returns”) as one from groundbreaking. It was published in the Financial Markets journal specializing in original research on applied and theoretical issues related to securities trading and pricing. Another publication worth noting belongs to Professor Akpeki Onajomo Akemu. His work is “Confronting the Digital: Doing Ethnography in Modern Organizational Settings” was published in the Organizational Research Methods journal, the best methodical journal in the field of organizational science. This is an elite scientific journal, known for the high quality of materials in the context of quantitative and qualitative points, as well as micro – and macro-prospects. Another outstanding teacher of the School is Professor Doron Izraeli. His peculiarity is a great experience in the corporate world. He is a certified public accountant (CPA, Israel). Before studying at Stanford University, Professor Israel worked in the Corporate Finance Department of the Israeli Securities Administration (ISA) and in the Ernst & Young Professional Practice Department (Israel). In his research, Professor Israeli studies the role of financial reporting in capital markets, as well as examines the impact of “friction” in capital markets and human cognitive restrictions on the effectiveness of stock pricing and corporate investment policy. He teaches accounting, econometrics and finance.